A ceiling tracking hoist system with harness for assisted standing and walking retraining, provides full body weight support. Keiser pneumatic strengthening gym equipment allows for small increments in weight training and is ideal for neurologically derived weakness. Equipment is well spaced to allow easy wheelchair access. Our cardio gym offers treadmills, exercise bikes (some with adapted pedals to hold feet in place), elliptical and arm cycles (can be used from a wheelchair). 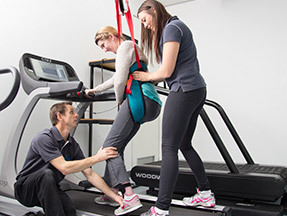 Regularly used by elite athletes to develop higher level running skills, the Woodway treadmill plays an important role for those learning to walk again by helping them develop strength to increase walking speed. Our upper limb training zone is complete with Saebo mobile arm support, functional electrical stimulation and Electromyography (EMG) biofeedback devices which are linked to a wide screen TV to enable client's to see their muscle activity in real time. 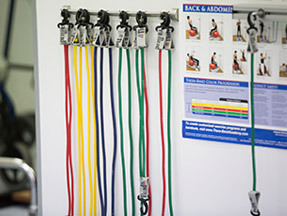 Various options can be used to retrain standing ability at earlier levels in rehabilitation. Our ceiling hoist system can be locked in over the parallel bars or training stairs to provide added security to those learning to walk as it provides full body weight support. Easy to use and set up, the Thera-Band system includes attachments which make it easy to apply to any body part or level of grasp, offering a wide variety of exercises. The Total Gym trainer enables strength and control training and pre-gait training. 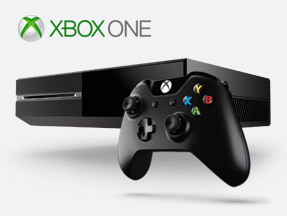 The Xbox One gaming console with motion sensor transforms a client's full body actions into gameplay, enabling work on balance and movement control whilst being entertained. An area has been set-up for the use of tablet and visual imagery devices which can help develop cognitive functions including attention, memory, brain speed, intelligence, people skills and navigation. Mirror box therapy can assist with regaining control of movement and chronic pain conditions. We have a suite of individual treatment rooms for private consultations in addition to our open plan rehabilitation gym. Saebo orthoses are used in grasp and release therapies to increase a client’s range of arm and hand movements. The SaeboMAS, SaeboFlex and SaeboGlove (pictured) are among the therapeutic devices we incorporate into our therapies. 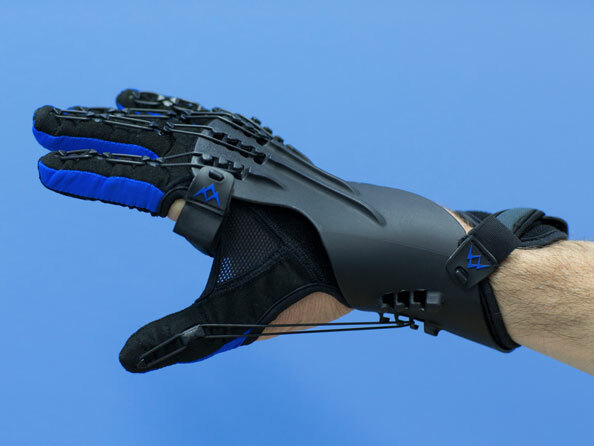 The SaeboGlove is the latest addition to the clinic’s range of hand orthoses, providing a lightweight and comfortable solution for impaired hand function, re-training the brain through repeated task-oriented practice. The Align-Pilates Reformer is used to build strength in core muscle groups to improve stability, co-ordination, posture, balance and flexibility. The Reformer offers a range of exercises to maximise rehabilitation outcomes and improve overall fitness. In keeping with our ethos of assisting clients to promote their rehabilitation through maximising neuroplasticity, we now offer Transcranial Direct Current Stimulation (tDCS). Over the past five to ten years this technology has been developed and much research has been undertaken. It involves delivering a low amplitude electrical current to areas of the brain to assist in either increasing or decreasing the resting level of activity in neural tissue. In doing so, it can effectively prime the brain for activity and promote neuroplasticity. The treatment has been thoroughly tested for safety and the tDCS device is accredited by the Therapeutic Goods Administration of Australia. Talk to your therapist to find out if tDCS is appropriate for you. In order to maximise neuroplasticity and therefore recovery, we encourage clients to spend extended periods of time within our facility. 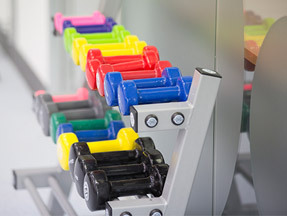 Our clinic is staffed by an allied health assistant who can support clients before, during and after their session with the treating therapist, to make the best use of gym equipment and enable greater repetition of exercises.